MANILA - Government agencies have recommended the cancellation of all Labor Day parties in Boracay amid the ongoing clean-up on the island. In a post on her Facebook page, Tourism Undersecretary Kat de Castro said Thursday the tourism, interior, and environment departments have recommended all "LaBoracay" parties to be cancelled. The annual event draws droves of tourists to the island for Labor Day parties. De Castro said the provincial government of Aklan is expected to support the interagency body's move. Earlier, authorities had recommended the island's 6-month shutdown to make way for rehabilitation efforts amid sewerage problems and widespread violation of environmental laws among establishments. While the decision is still pending, the local government of Malay, Aklan advised event organizers to put up "low-key" events instead. "What we advise to organizers is to put up a low-key event. 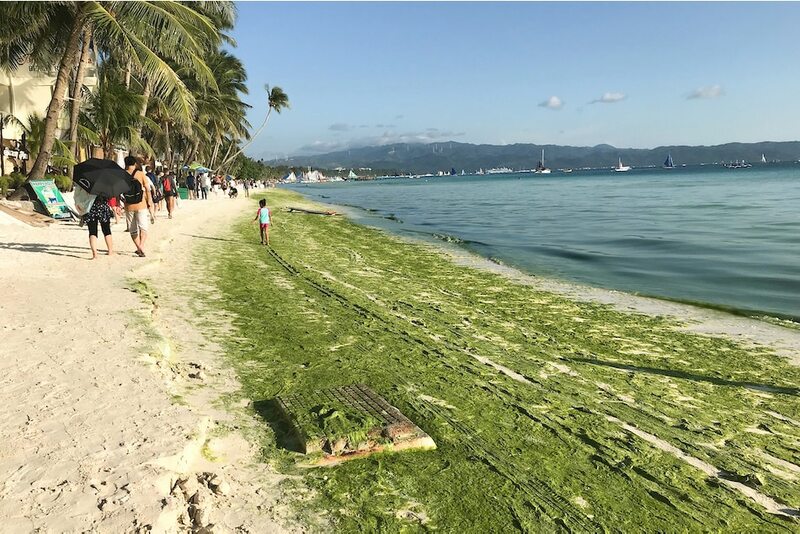 But this is all hanging kasi 'pag na-close ang Boracay at that time, it will be moot and academic to cancel anything," Rowen Aguirre, executive assistant to the mayor, said in a statement. Meanwhile, The Red Whistle Organization has already cancelled its Labor Day event in Boracay to support the ongoing island cleanup and rehabilitation. "The Red Whistle Organization (TRW) would like to inform our event partners, suppliers, sponsors, celebrity ambassadors, and lifeguard volunteers, that we have decided to cancel #SaveSexyLaBoracay2018," the group said in a statement.